The rain last Saturday was a blessing in disguise. 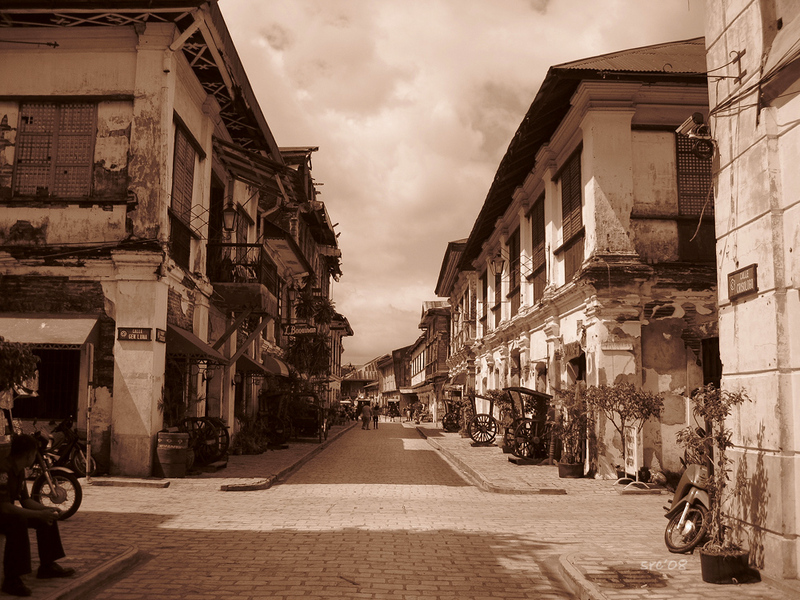 We decided to forego Bangui and resked it for Day 3. Oh what a great decision! 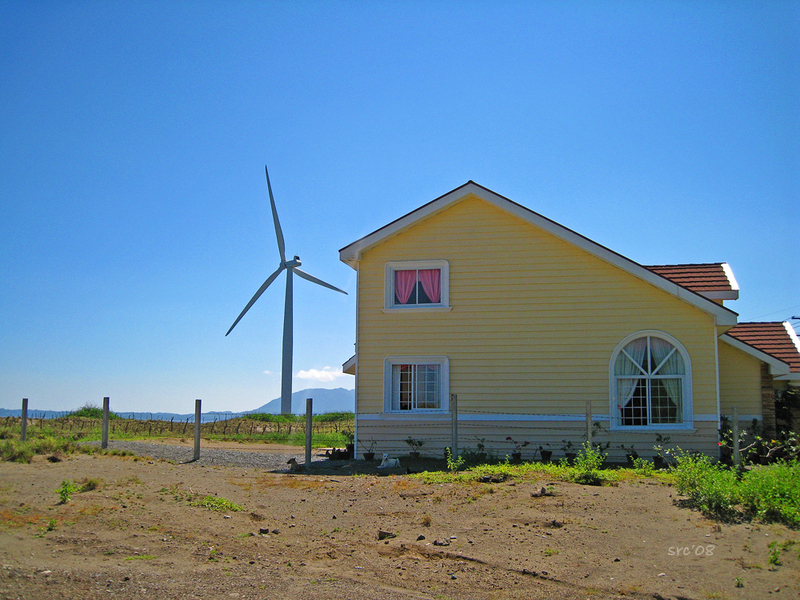 We were blessed by clear skies and the sun shining brightly! 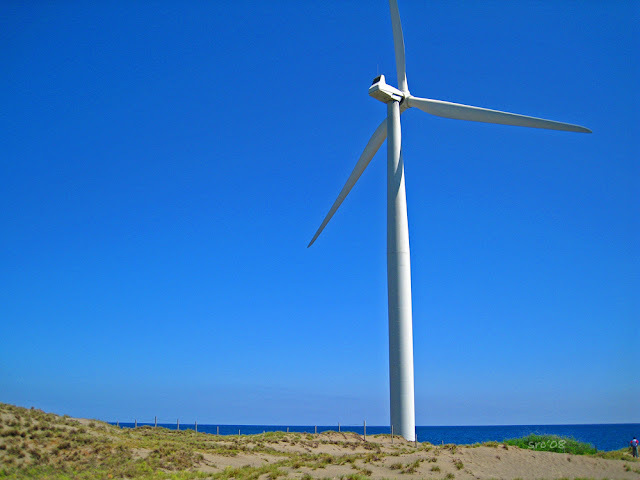 Seeing the rows of humungous windmills is just awesome! Seeing how beautiful it is from afar is just half the fun. Try to see it up close and personal, and you will be awed by its sheer size. 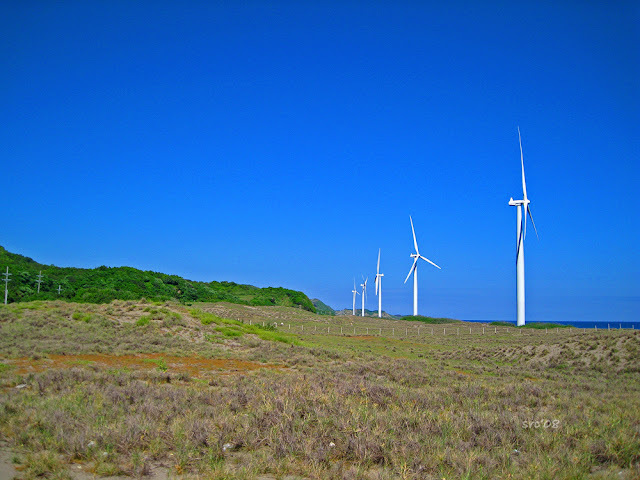 Formally called the Bangui Wind Farm or Northwind Bangui Bay Project, it is located in the municipality of Bangui, Ilocos Norte. 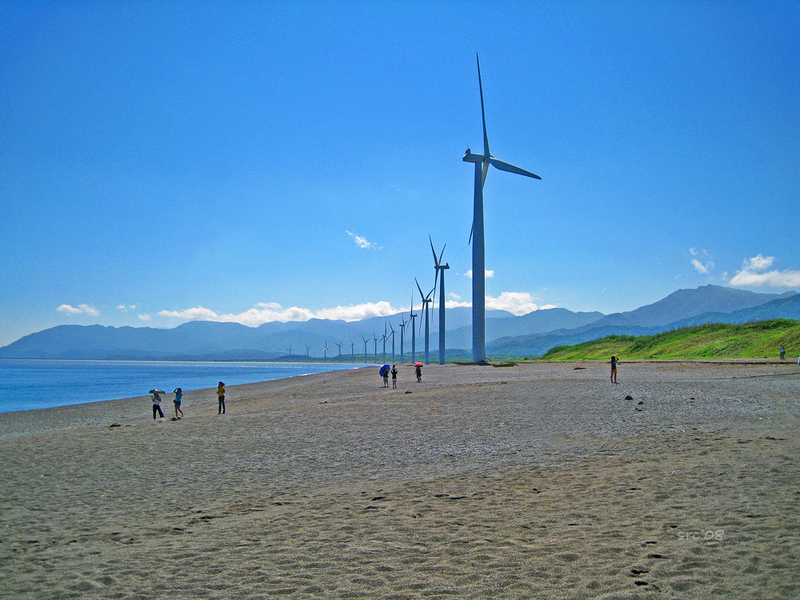 20 units of 70-meters high wind turbines stretched along a 9-km shoreline of Bangui Bay, facing the South China Sea. I felt like Liliput , the dwarf, amongst giants! See how humungous it is! 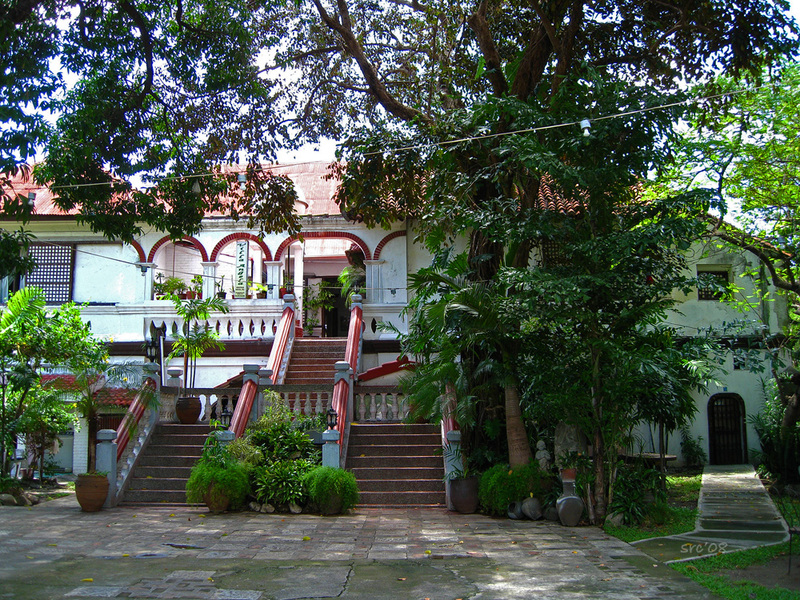 Villa Angela Heritage House We had our late lunch here.Villa Angela is a typical 1850's house that is now a hotel. Walking tour of Vigan's famous cobble-stone streets. A throw back to the Hispanic era. 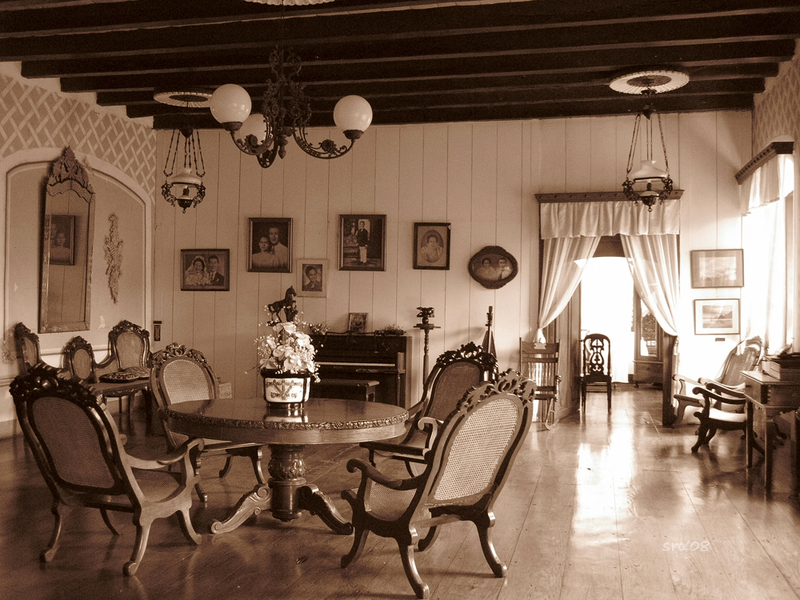 We spent several hours here enjoying the "Spanish era feel". 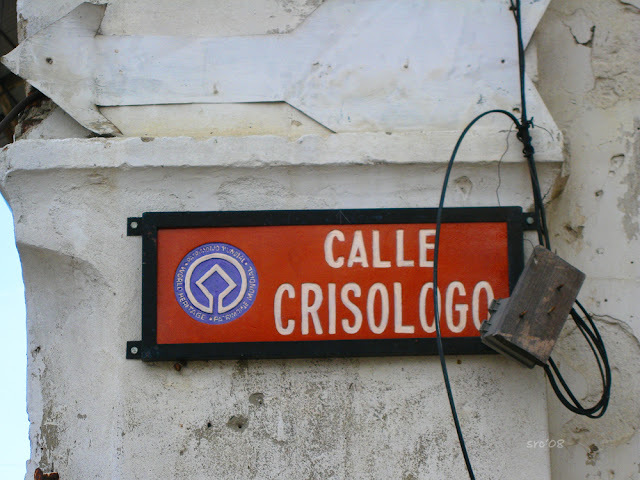 Closed to vehicular traffic, you can explore it by foot or via a Kalesa (horse-drawn) ride. 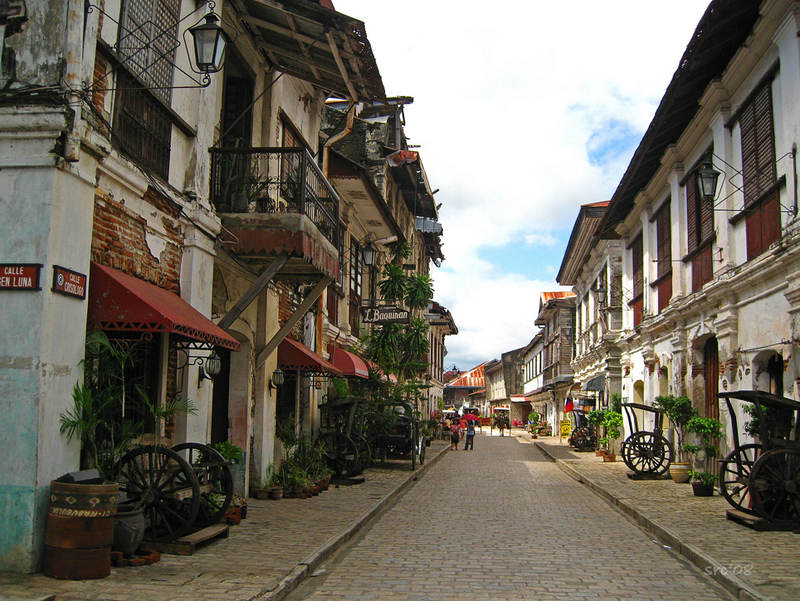 By around 4pm, we left Vigan on our way back to Manila. Stop over in La Union for dinner at San Jose Surf Resort before the long ride to Manila. Arrived Manila at 2am. It was one hell of a long trip. Tiring, but we really enjoyed the charms of Ilocos.